This vintage glass is so beautiful. 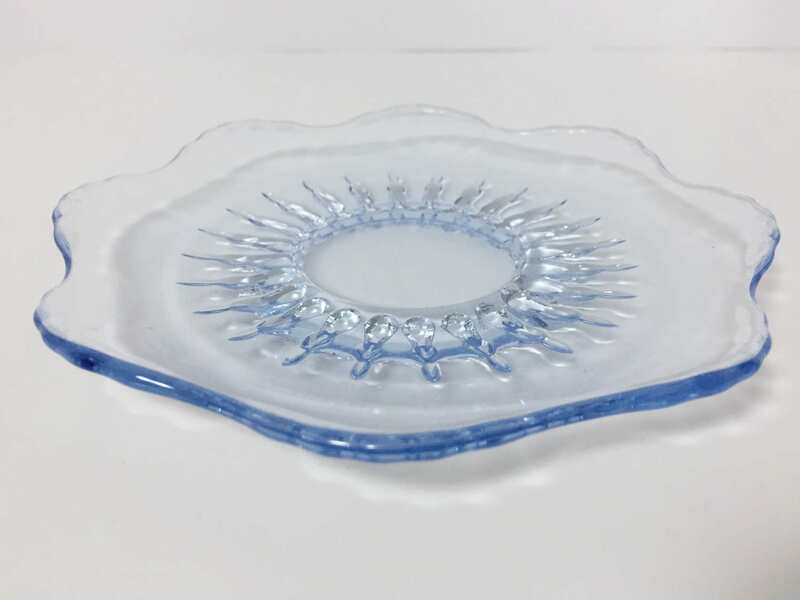 This is a saucer from New Martinsville Glass in their wonderful Art Deco pattern "Radiance" in Ice Blue. It would have a lovely winged teacup to go with it - however the saucer alone can be used in mix and match or as a charming little small serving dish. 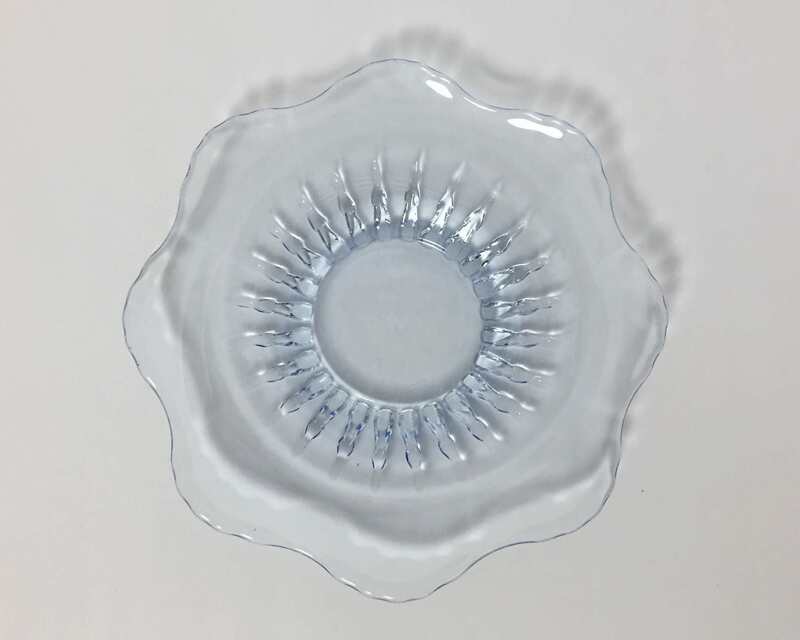 New Martinsville Glass was formed in 1900 and they introduced their unusual Radiance pattern in 1937 - it was just one of a few innovative and spectacular Art Deco patterns they produced during that period. Can you tell I love this company? Later on they became Viking Glass, but it's the period between the 20s and 40s where I really love their patterns, and their colors. 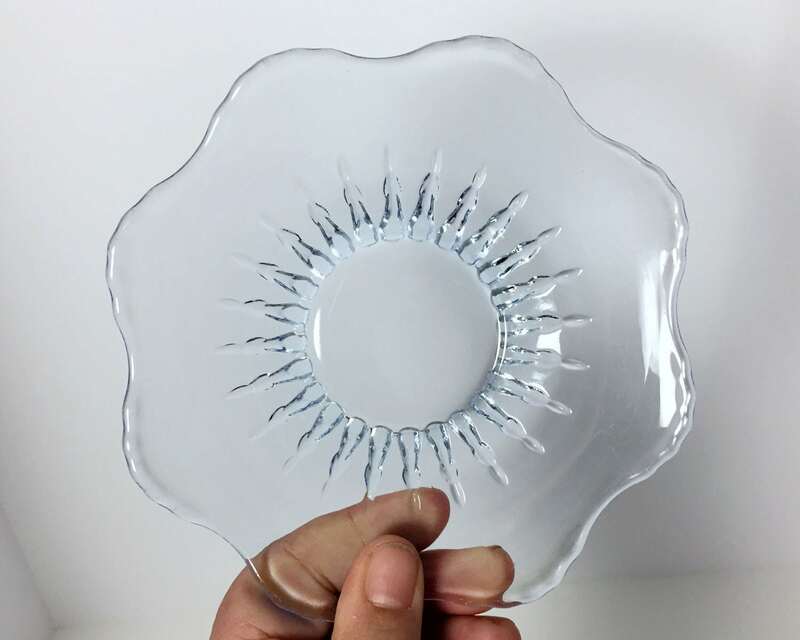 New Martinsville bridges the gap between depression glass companies and elegant glass companies. I think of them as elegant glass because of the quality, but apparently they aren't considered in the same vein as Fostoria, for example. Radiance, particularly on the plates, has a wonderful sunburst type of pattern with a bat wing edging. This is ideal for elegant entertaining. Terrific vintage decor. CONDITION: Very good with no chips, cracks, or nicks. They do have scratch/scuff marks from use - this is extremely common in glass of this age. 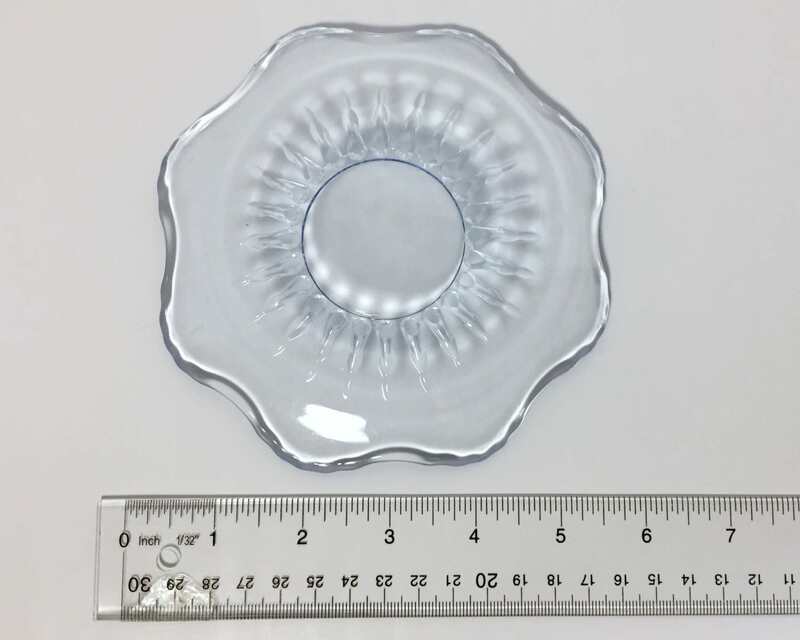 SIZE: Saucer is 5 1/2 inches wide. This is a beautiful little dish. 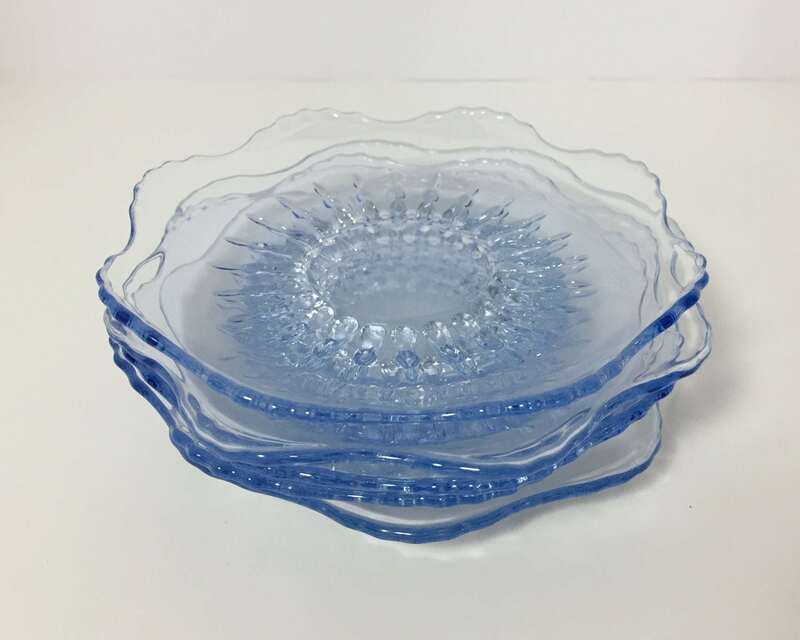 Lovely blue glass. The item is exactly as described, was packed great, and arrived quickly. Great transaction and great seller.